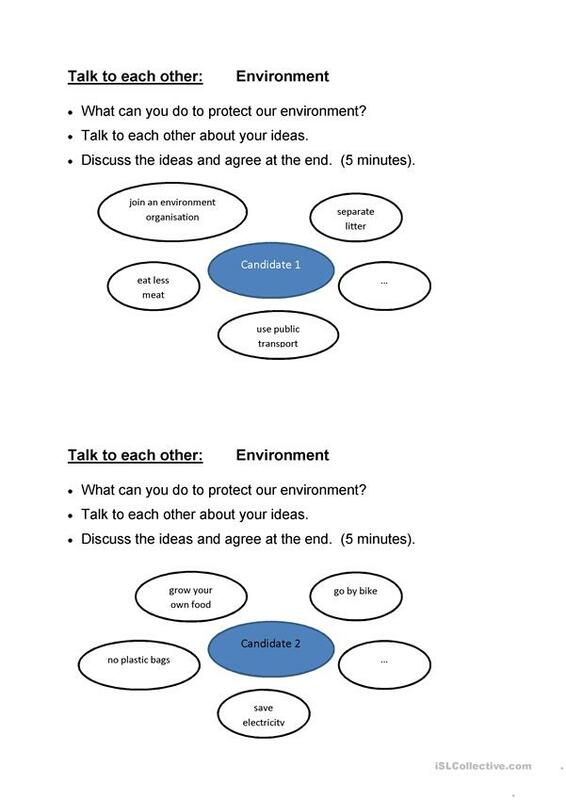 The worksheet helps pupils to start a discussion. They can discuss the given ideas or can make up new ones. Furthermore they can practise conversation phrases to keep a discussion going. This printable, downloadable handout is meant for high school students at Pre-intermediate (A2), Intermediate (B1) and Upper-intermediate (B2) level. It is excellent for working on your class' Speaking skills. It is about the theme of Environment.